Stop by the Owl’s Nest lounge, near the Beaumont Inn Dining Room and Old Owl Tavern. Enjoy fine wines, spirits & draft beer, appetizers and entrees on Wednesday-Thursday 5-9 p.m. and Friday and Saturday 5-10 p.m. Our kitchen closes at 9 p.m. Don’t forget the Tavern and Nest do not take reservations. The Owl’s Nest features a cozy pub atmosphere complete with a small intimate paneled bar and additional designer seating allowing for a most relaxing atmosphere to conclude the activities of the day. 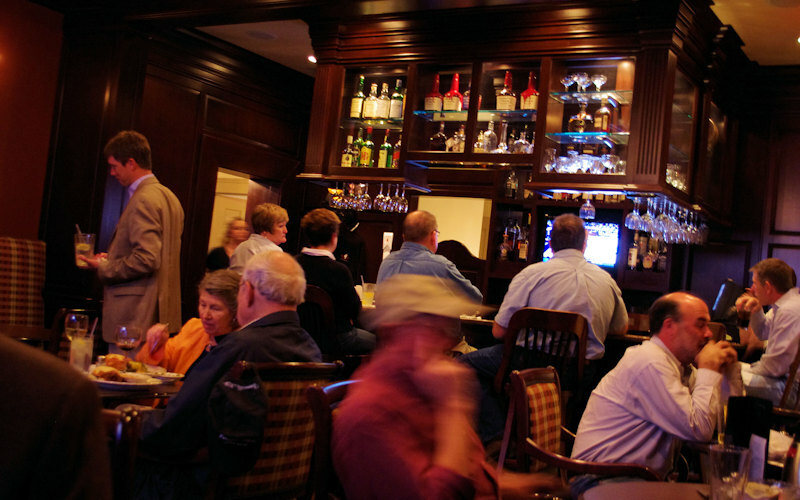 Get a drink before or after your dinner at the Tavern or Main Dining Room. The richly appointed English-style pub is intimate and great for a romantic evening or a gathering of friends and family. Our business travelers watching sports on the 62-inch flat screen Plasma TV. Get the recipe for the perfect Mint Julep!